THERE ARE A LOT OF REIKI PRACTITIONERS OUT THERE. SO HOW DO YOU KNOW WHICH ONE IS RIGHT FOR YOU? We created the International Reiki Organization and the Practitioner Directory to help you answer this question - so you can feel comfortable and confident in your choice of Reiki practitioner. Reiki is a Japanese technique that helps the mind, body and spirit heal in a natural way. 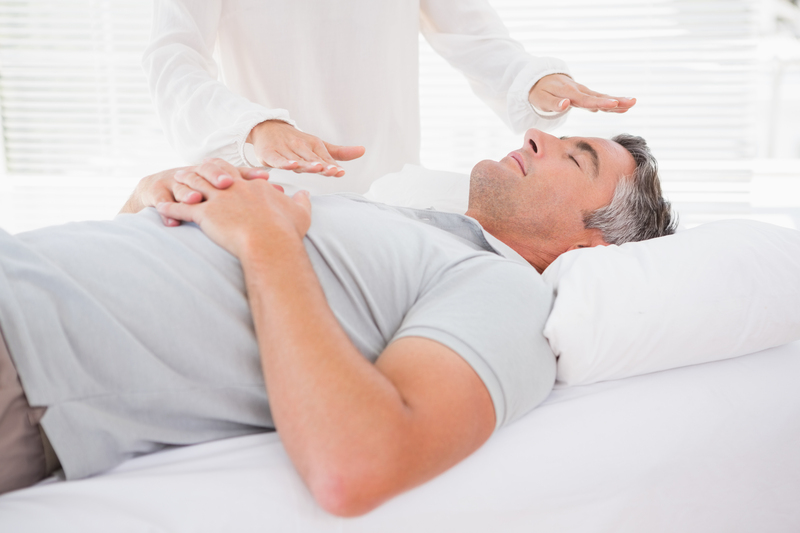 During Reiki your practitioner will channel energy into you by lightly touching your fully-clothed body, or hovering their hands a few centimeters above your body. This stimulates your body’s natural healing processes, and restores or boosts your physical and emotional wellbeing. Level 1 is the foundation level during which students learn about: life force energy, holistic health, the connection between the mind and the body and how to make use of it to promote wellbeing, and Reiki’s principles. By practicing the principles and doing energy exercises, students become channels of Reiki energy. At this level, they practice Reiki on themselves. Level 2 takes students deeper into Reiki. Its focus is teaching them how to strengthen the healing energy they’re channeling, so they can use it to help others. At this level, students can provide distance Reiki, so they don’t need to be in the same place, or even the same part of the world, as the person they’re sending healing energy to. Some teachers separate level 3 into 2 parts - Master Practitioner and Master Teacher. They do this to make the distinction between being an advanced practitioner and being able to teach others Reiki. At the Master Practitioner level, students further develop their insight and self-awareness. They’re taught how to use advanced tools and techniques to help them deal with the more difficult and challenging problems that clients can have. Those studying to be Master Teachers have to have extensive knowledge about, and experience of, treating others. At this level, there’s a focus on personal development and ways of teaching Reiki. Legally, there are no set qualifications that Reiki practitioners must have to be able to set up a business and start working with clients. In the absence of legal frameworks around Reiki, we’re committed to making sure our members are trained, and behave ethically. When they join our Association, they have to pass our compulsory ethics course, and adhere to our set of professional standards. We also provide our members with support and ongoing professional development courses, so they can work effectively with you. So you can rest assured that our members’ knowledge and expertise are relevant and up to date. And they'll treat you with the care and respect you deserve. If you’re looking for reiki sessions, we have a directory which makes it easy for you to find one of our skilled practitioners in your local area. ARE YOU READY TO FIND THE RIGHT REIKI PRACTITIONER FOR YOU? Try out our free Practitioner Directory and start your path to healing today.